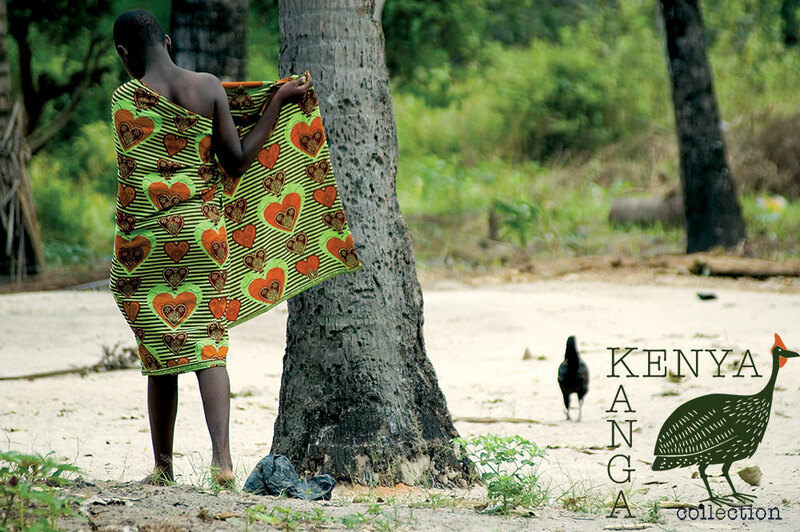 If you’re lucky enough to own one of Kenyan Kanga Collection’s beautifully printed kangas, you may be wondering how to wear it. Tradiitonally, the kanga would be tied like a sarong around the waist, hanging to the ankle. However, fold it in half and now you have a funky little mini skirt that can be fastened by rolling the top over several times. Perfect over your bikini bottoms! The kanga can also be wrapped around the body a little like a towel – under the armpits –making it a great way to cover up but still keep cool when you’re at the coast. Or perhaps you’re staying in a friend’s house and need to make the corridor dash from bathroom to bedroom – the kanga is your best friend in this kind of situation! Alternatively, if you want something a bit more secure, take each corner from the long side of the kanga and bring it up around your neck, tying it behind your neck in a knot – another great way to cover up but remain relaxed and breezy. If you’re living in colder climes (or in fact Nairobi in July / August!) 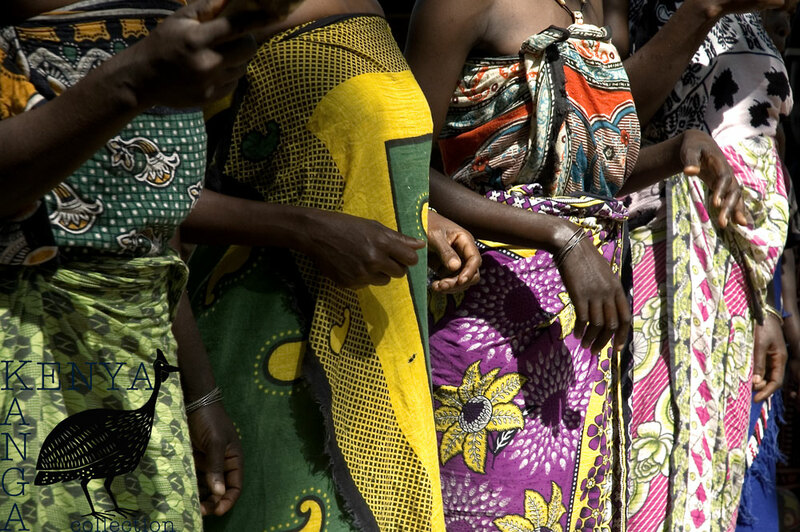 then the kanga makes a fabulously colourful accessory – primarily as a scarf. Pair it with a garment or outfit of one colour, and you’ll be the ray of sunshine everyone needs in their lives. But you needn’t restrict the kanga to merely a fashion item; it can also be used as a useful sling in which to carry baby on your back; and if you’ve ever seen this in action it looks like the most comfortable way to be carried around! Many a baby has spent hours and hours asleep in a kanga sling.